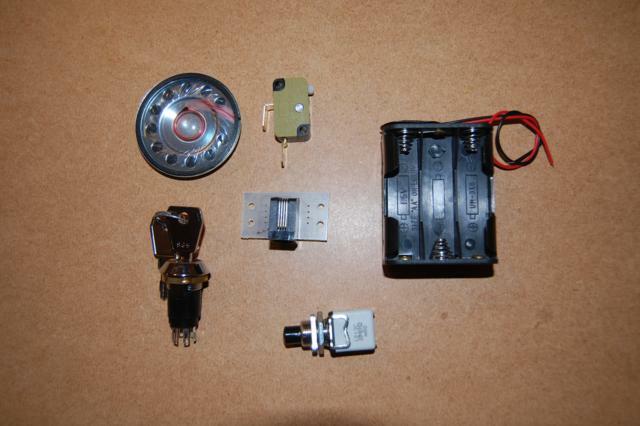 A kit of parts to build a laser tag gun housing which is designed specifically to house the Milestag CORE system. 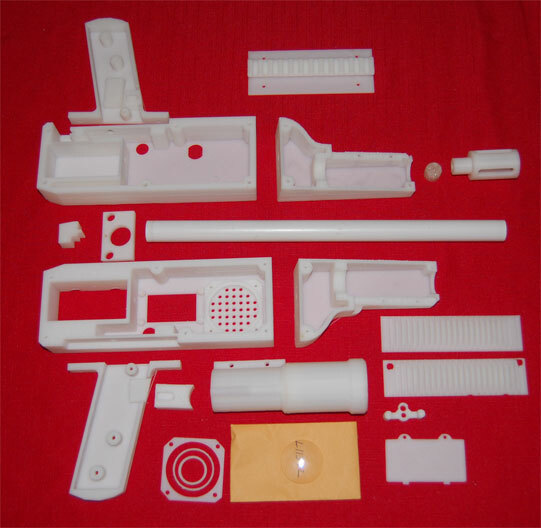 Manufactured from white ABS plastic which is easily painted with standard automotive sprays. Black plastic option is available. 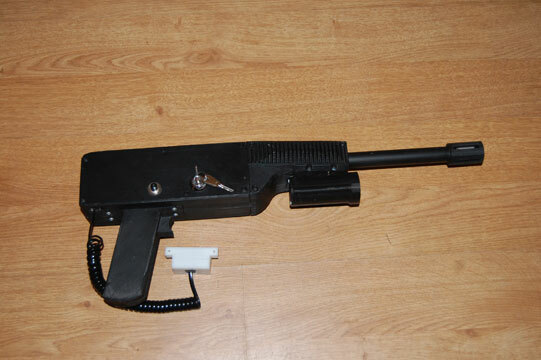 Comes complete with lens, IR focusing tube, speaker, screws and trigger switch. Default options include battery holder and lead, refill/mode/key switches, curly RJ9 sensor cable and sensor distribution box. See HERE for Milestag CORE PCB kit. 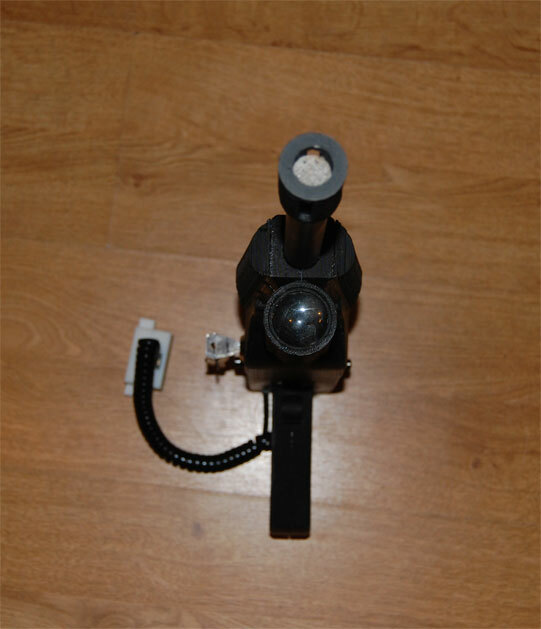 IR LED focus tube with focusing mechanism. Cut outs for LCD display, power key switch,mode switch, reload switch and 50mm speaker. Assembly time about 1.5 hours when used with pre-wired CORE board (not supplied). Optional keyswitch for easy game marshalling. 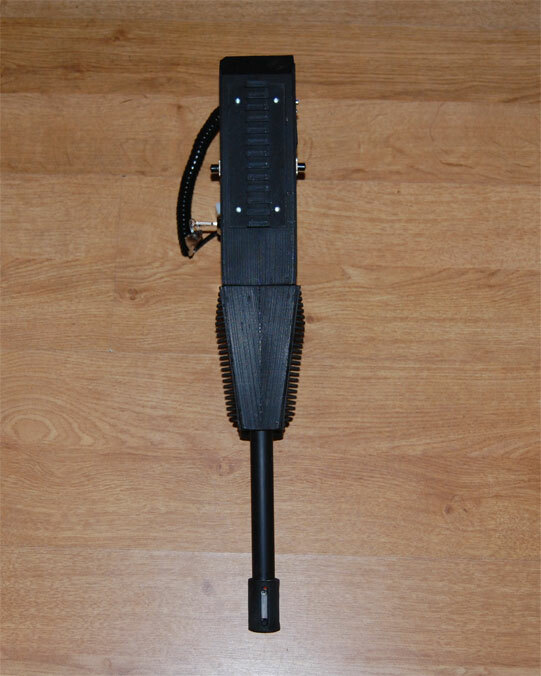 Optional sensor distribution PCB attaches via flexible RJ9 cable to gun (sensors not supplied). Optional battery holder (6xAA) and lead. 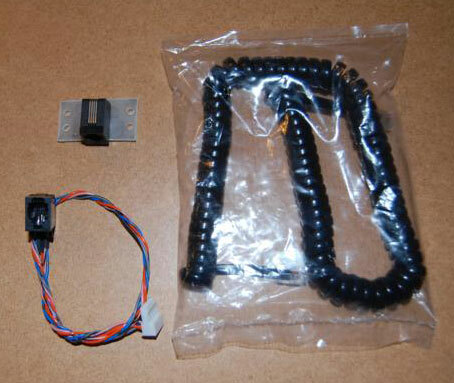 Optional RJ9 curly sensor cable (3m) and cap mounted sensor distribution box. 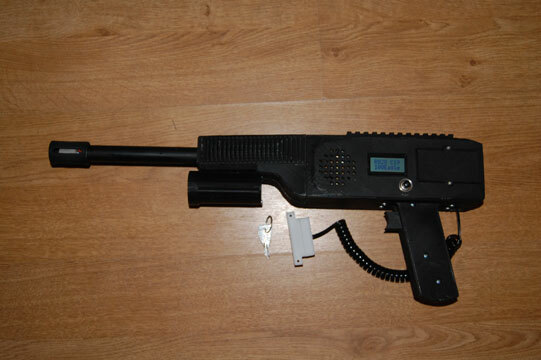 5mm IR LED and 5mm muzzle flash LED. 8 x 2 line LCD display. Long reach #2 pozidrive screwdriver.